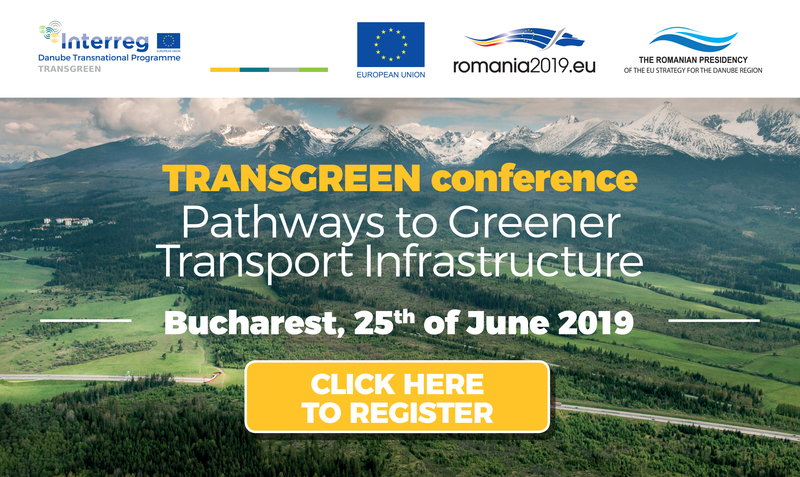 For the final event of the project, the Pathways to Greener Transport Infrastructure Conference - Bucharest, June 201th 2019 - please click on the above photo to Register. TRANSGREEN aims to contribute to safer and environmentally-friendly road and rail networks in mountainous regions of the Danube Basin with a special focus on the Carpathian Mountains. It will do so by improving planning frameworks and developing concrete environmentally-friendly and safe road and rail transport solutions taking into account elements of Green Infrastructure, in particular ecological corridors. Photo © Dan Dinu The biodiversity in the Carpathians is at the heart of the TRANSGREEN Project, which is looking for solutions for large infrastructure development with low impact on nature in our region. An interdisciplinary partnership comprised of planners, economists, engineers, and ecologists will integrate and apply their specific knowledge across the region and cooperate on developing Guidelines on integrated transport infrastructure planning, construction, management and monitoring, taking into account aspects of road safety and biodiversity conservation. Partners will also collaborate on the production of ready-to-use methodologies for stakeholder participation processes, training modules on Environmental Impact Assessment with a focus on ecological corridors, and Catalogues of measures for each of the four pilot sites located in Beskydy (CZ-SK), Miskolc-Kosice-Uzhgorod (HU-SK-UA), Tirgu Mures-Iasi and Arad(Radna)-Deva (RO). An intersectorial dialogue will be fostered at the policy level that seeks for mutual understanding and implementation of recommendations towards integrated transport infrastructure planning from the local to the transnational level including EU level.